Pressure cookers are special ovens with locking lids that cook food by creating internal intense steam heat. Once feared for causing kitchen explosions and fires, modern pressure cookers are now taking over every day meal preparation. As we spend less time in the kitchen, pressure cookers are slowly becoming a necessity rather than a luxury. 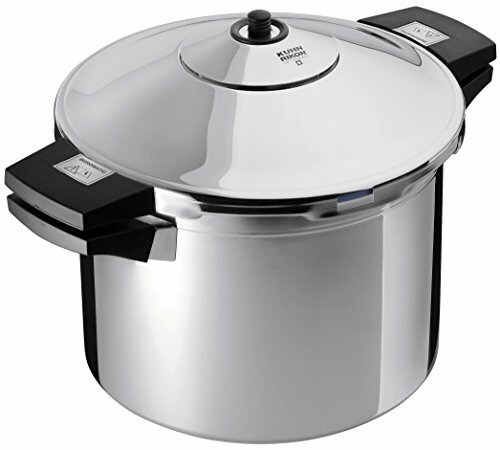 Since they are such an investment, it is important that you get value for your money in terms of small pressure cookers. If you have limited space in your kitchen then you may want to check out these pressure cookers listed below. 3 Avoid Non-Stick Coated Pressure Cookers. 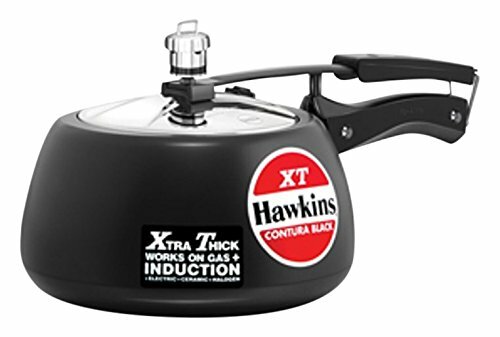 Hawkins is a fairly well-known kitchen accessory brand. Consumers praise them for their reasonable price point and the fact that Hawkins kitchenware tends to be durable. For this reason, it comes to no surprise that this HAWKIN Classic is a very popular pressure cooker. 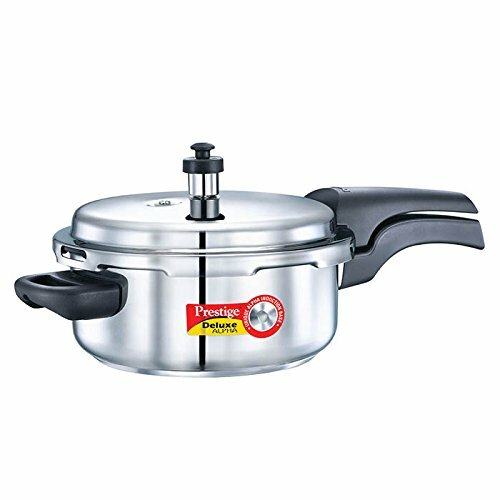 The Hawkins Aluminum Pressure Cooker is fairly standard in what it has to offer when compared to other similar pressure cookers but it is preferred because it has the Hawkins brand name attached to it. 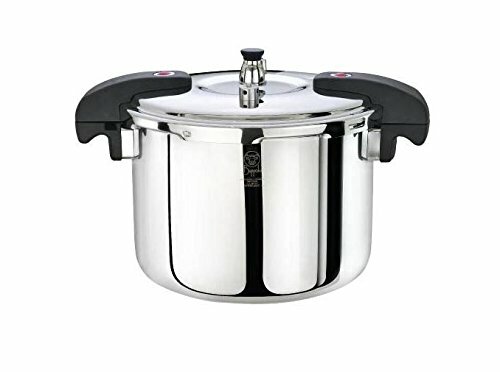 The most appealing features of this pressure cooker are the fact it is small ( appropriate for apartment living ) making it easy to store and keep around the house. It is made from an attractive aluminum and has a nice polished appearance. Known as the “pressure cooker for dummies” anyone can use it safely because it seals from the inside. The handle also stays cool while cooking for additional safety.If you are shopping for a pressure cooker and you or on a tight budget, this is the one that you should choose. You cannot go wrong with the Hawkins brand and you can rest assured that the quality is top-notch. The reason why people purchase pressure cookers is that they save time. A good pressure cooker can actually cook anything 70% faster than the conventional cooking process. Someone looking to buy a new pressure cooker would probably be happy with the Kuhn Rikon Duromatic. It is a bit more expensive than other pressure cookers, but because of all of the features that it comes with, well worth the extra dough. 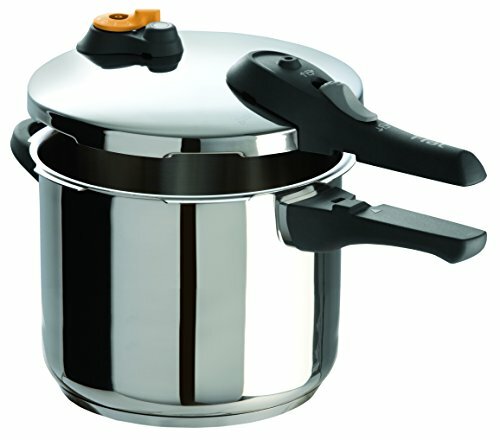 So what are the best features of this pressure cooker you may wonder? The Duromatic made from the best stainless steel with an aluminum base that allows it to heat up phenomenally fast! 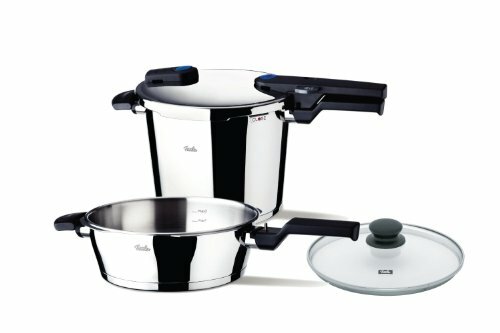 Due to the fact that safety is always a consideration when pressure cooking, the Riko Dramatic has been equipped with some unique important safety features: internal seal and a guaranteed stay cool handles. It also has 5 safety releases, making it nearly impossible to get burned. 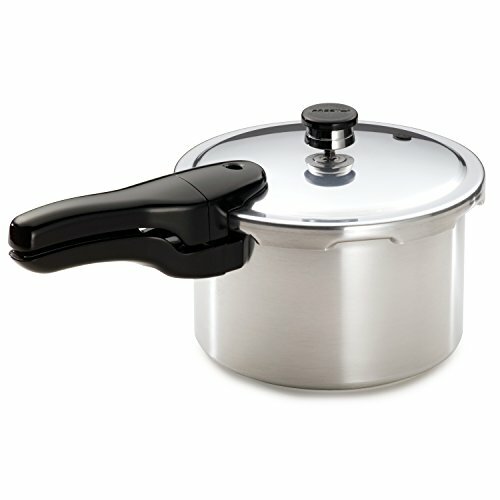 This particular pressure cooker would be considered “top of the line” and is certainly one of the best on the market. It carries the reliable Kuhn brand name, that many people trust. Although it isn’t the cheapest pressure cooker, it is among the best pick on the market. This is the one to get if you are not afraid to pay for quality. Are you in the market for a decently priced, reliable and safe pressure cooker? If you are, then this Prestige Alpha is the one that you should take a look at. This particular pressure cooker works incredibly well and is very safe. It functions well with an induction style cooktop ( if you have one ) but can also be used on a regular cooktop. The reason why this pressure cooker is so popular is because of the innovative pressure indicator that tells you when the lid can be opened. This is something that not all pressure cookers have but should have. Anyone in the process of comparing pressure cookers should give the Prestige some serious consideration. 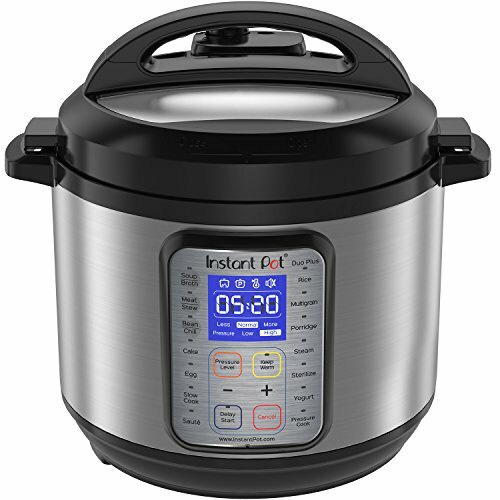 This unit has top-quality written all over it and easily stands out when compared to the other pressure cookers that are available on the market. If you have never cooked with a pressure cooker before, then you must try the Hawkins M17. The features of this particular pressure cooker are, of course, the fast cooking speed. Food is sterilized when it is cooked using a pressure cooker making sure that your meat, in particular, is safe to eat and cooked thoroughly. This unit also cooks food better than with traditional cooking methods and the M17 will save you money on energy when you cook. A huge area of concern with pressure cookers tends to be safety; the Hawkins M17 has an internally sealing lid and a cool handle to prevent you from burning yourself. For the price that you’ll pay this pressure cooker is a good pick. It is perfect for somebody who is going to be using a pressure cooker for the very first time. 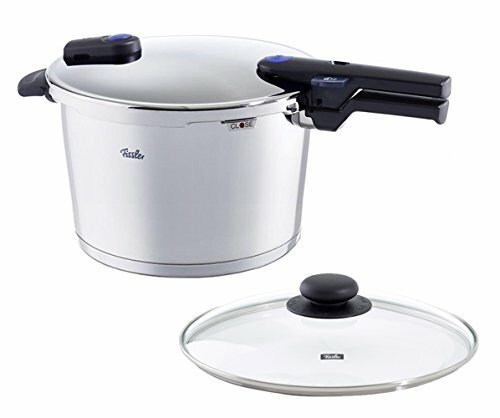 The Presto 01341 4-Quart Aluminum Pressure Cooker cooks 3-10 times faster than other cooking methods. Evidently, all pressure cookers are designed to cook fast but this one is particularly efficient. It has a pressure regulator built into it that allows you to keep track of the pressure and check that it is consistent. Aesthetically, it is extremely attractive cooker that is made from top notch aluminum that offers excellent durability. 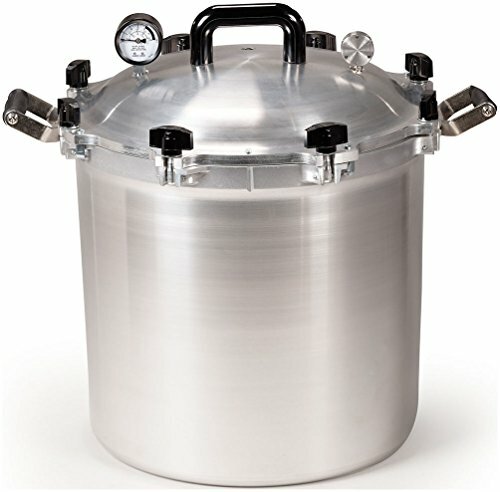 Anyone who is shopping around for a high-quality pressure cooker will be satisfied with this unit. 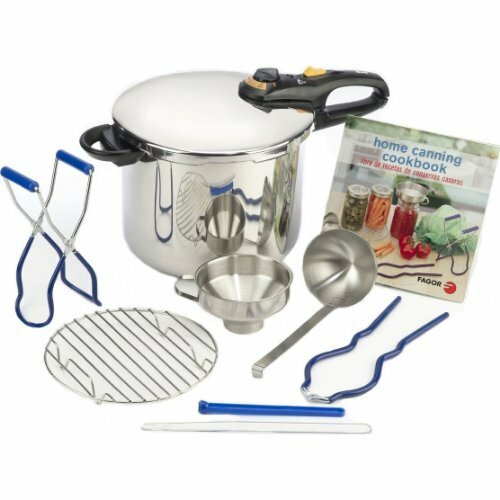 An additional bonus is that it comes with a recipe book for those who are excited to try to make some new foods with their new Presto cooker. Pressure cookers are identified according to their liquid capacities. 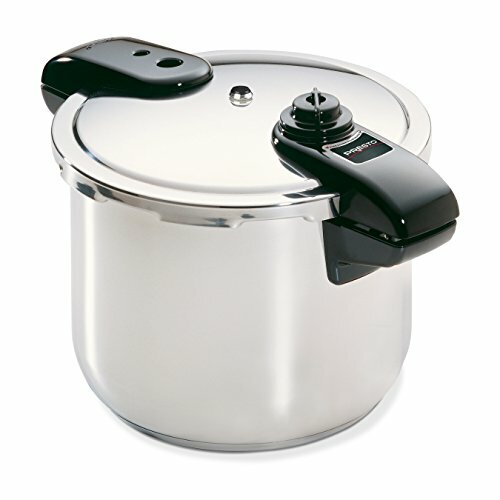 Small pressure cookers can be found in 4quart (5litres) and 6 quarts (7 liters) sizes. The size of your cooker depends on your cooking needs. 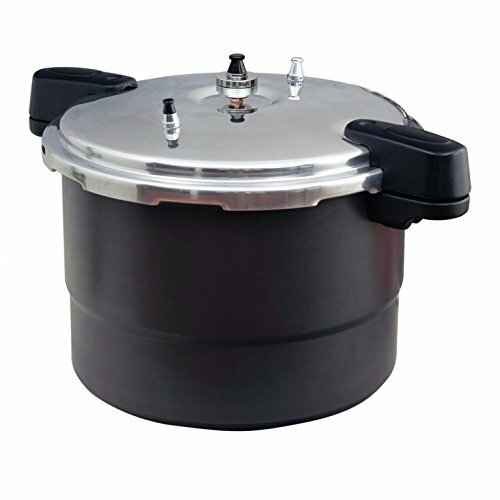 You might be looking for a unit that fits singles and couples but you can also find small pressure cooker for small families of up to five members. It is important to note that these are the full capacities of the cookers. When it comes to cooking only two-thirds can be used as the rest is occupied by steam. 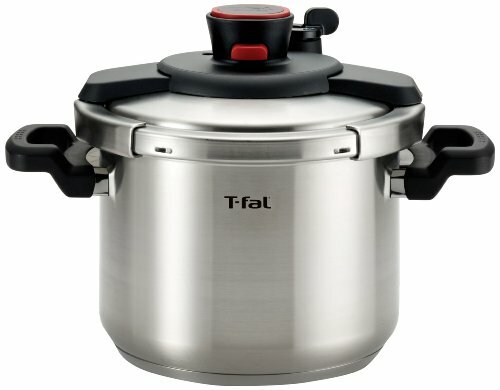 Most brands in the market have the name stainless steel in pressure cooker names. However, not all stainless steel is the same. 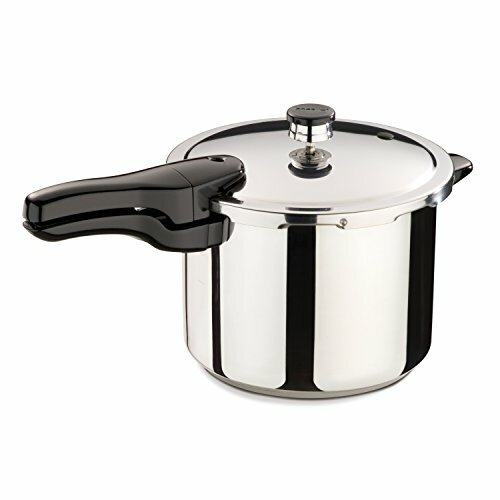 The best small pressure cookers should have label /stamp indicating 18/10 stainless steel. 18/10 stands for the amount of what the metal makes up. Such a composition guarantees that your prospective pressure cooker is more durable. Additionally, considering pressure cookers are regularly under pressure, durability is important. The base should be made of an aluminium layer between two stainless steel layers for better conductivity because it will provide better cooking. This is a non-negotiable requirement and it does not matter whether you are going for an electric or stove-top pressure cooker because safety valves must be present. Electric pressure cookers have float valves while the stove-top ones have spring valves. These ensure that in situations of over pressure, the excess steam is safely vented in the lid. You will hear a hissing sound during the release of this excess pressure. Avoid Non-Stick Coated Pressure Cookers. Your best pick of pressure cooker must have a minimum of two pressure settings. Most have a low to high switch while some have more settings. But as long as you can select your preferred pressure level then the pressure cooker is suitable for you. All pressure cookers are designed to last for several decades. It is, however, wise to go for brands that back their products with lengthy warranties. It is an added advantage if you found a company that gives warranty for pressure cooker parts. Eventually, you will have to replace parts like gaskets. As a wise shopper, go for pressure cooker brands whose accessories are readily available. Why should you even consider investing in a small pressure cooker? The reason is that pressure cookers reduce cooking time dramatically. It takes a third of the time to prepare meals using a pressure cooker than it would use other cookers. Moreover, it helps you to prepare healthier food since it retains the nutrients and flavor in the food. That way, the food is tastier when cooked in a pressure cooker. Even though you end up with a small pressure cooker, it is a versatile product as it does different types of cooking that include baking, broiling, braising and poaching. A three-course meal can be prepared easily using a pressure cooker. It can also be used to sterilize baby bottles and jam bottles. However, the most important factor to take into account is long-term savings. The reality is that pressure cookers use less energy than other cookers since they prepare food faster. Having said that, before you make up your mind, it is important that you compare what is available on the market. Rest assured that all the models listed above are top-notch, durable, versatile and offer value for your buck.